"A Night of Storytelling" is a biannual Our Jackson Home event that seeks to create a warm environment for you to dig deeper into the people and places of our city by hearing personal stories from your Jackson neighbors. We've gathered some of the best stories of Jackson businesses, passion projects, and artistic endeavors to share with you at theCO's 3rd annual celebration of theCOtoberfest. This event is family-friendly and free, where you'll enjoy being told seven Jacksonian tales, hearing some live and local music, and listening to some Jackson poetry—after munching on some empanadas from the La Cubanita food truck, of course. We'll start the event with theCO's Best in the West pitches from three finalists, and you'll get a chance to vote for your favorite at intermission! The winner will be announced at the end of the night. Come early at 5:00 for theCOtoberfest Pop-Up Art Gallery; food trucks will be ready to serve at 6:00. Come hear the stories of your neighbors Friday, October 20 at 7:00 p.m. at theCO's theCOtoberfest, and be on the lookout for our next Night of Storytelling in April 2018! Greg Emery is the Vice President of Business Development for BG Innovative Safety Systems by day but loves to share stories in his free time. His story will involve meeting a mentally challenged person on a plane who brought a whole new light to finding new ways to appreciate every day issues that we face personally or in business. 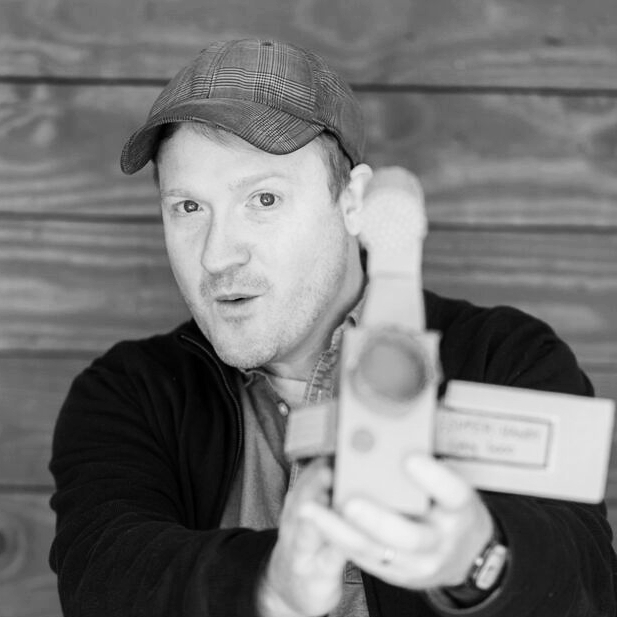 Brad Montague is an award-winning writer/director working to creatively communicate hope to kids and former kids. He is a New York Times bestselling author and creator of Kid President, which has grown into an internet sensation, book, television series, and movement for good around the world. Brad was nominated for an NAACP Image Award for his work bringing positivity and diversity to children's media. He and his wife co-own a creative studio dedicated to projects that inspire and encourage. Josh "St. John" Shaw is an indie singer-songwriter from Memphis who draws his inspiration from Julien Baker, Angel Olsen, and The Strokes. He currently has an EP streaming on Spotify, Apple Music, Bandcamp, and Google Play. Lauren Smothers grew up in West Tennessee, Central Asia, and Western Europe. She has a B.A. in English from Union University and an M.F.A. in creative writing from The University of North Carolina, Greensboro. She currently lives in Jackson and teaches composition at Jackson State Community College. Read Lauren's poetry in our Spring 2016 journal (Vol. 2, Issue 1: Discovery). Dustin Summers serves locally as the Executive Director of the West Tennessee Physicians’ Alliance. He is a board member of the Jackson Chamber of Commerce and the Jackson Symphony. A native of Paris, Tennessee, The Ringtails of Goodnight Road and the Case of the Stolen Wind-O-Band-Go is his first book. Read more about Dustin's book in our December 2017 - March 2018 journal (Vol. 3, Issue 3: Grit).